Susitna-Ridgeline is a new affordable housing community in East Anchorage that has helped relieve Anchorage’s housing shortage by providing affordable homes to more than 200 residents The development covers 6 acres of land and includes 88 one- and two-bedroom units, community center, playground, as well as Americans with Disabilities Act (ADA) accessible pedestrian connectivity to neighborhood amenities and mass transit. The driving challenge in any affordable housing development is to meet very restrictive budgets. The reality of the available costs to design and construct the Susitna-Ridgeline development created a need for EEI to apply existing engineering techniques in new and innovative ways. To meet this need, WWI successfully applied for three variances. Two variances were related to roadway design. The third was related to stormwater infiltration. All three variances were approved based on sound engineering investigations and applications. The variances, and other engineering innovations, saved the client more than $800,000 in construction costs—as well as provided additional green space. In short, these savings made the Susitna-Ridgeline development a viable project. 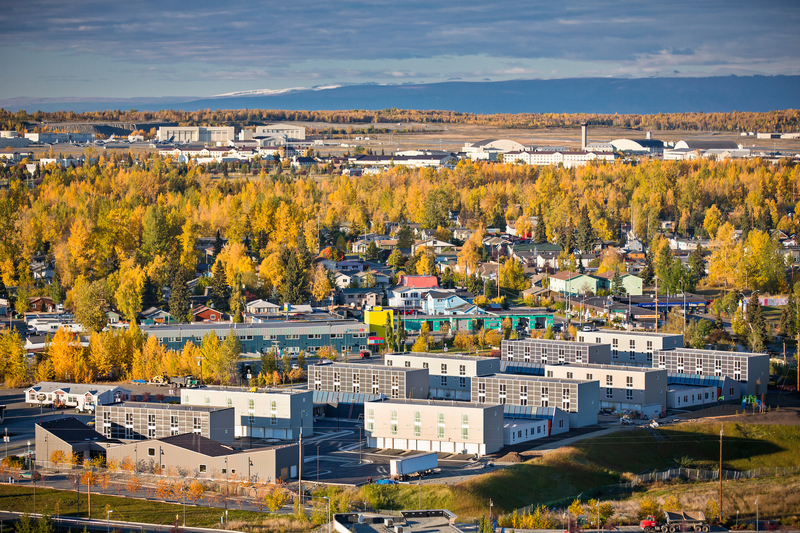 EEI’s d3esign alternatives can be applied to future housing developments in our community, allowing for more cost-effective housing to be constructed in Anchorage.